Classes are offered within the Cook County Department of Corrections (CCDOC) , one of the largest (96 acres) single site county pre-detention facilities in the United States. Primarily holding pre-trial detainees, the Department admits approximately roughly 100,000 detainees annually and averages a daily population of 9,000. The facility covers more than eight city blocks with ten divisions, a health services facility, two education departments, a privatized food service and commissary agency, and four additional onsite Sheriff’s departments. Each CCDOC division has a detainee visiting area, dispensary, law library, chapel or multi-purpose room, staff office, and day room in the living units for detainees to eat meals and watch television etc. Housed within the Department of Corrections, the Cook County Sheriff’s Women’s Justice Programs were established in 1999 as a direct response to address the unique needs of the increasing number of women entering the Cook County criminal justice system. The Women’s Residential Program (WRP), in which the yoga classes are offered, is a 160 bed intensive in-patient treatment program offered in a modified therapeutic community setting. Classes are taught in the Contact Room of the facility. As funding for vital social services grows scarce, the volunteer-led Yoga for Recovery classes have been a mainstay at the Cook County Sheriffs Women’s Justice Program. We aim to achieve sustainability over time by seeking funding from private and governmental sources. 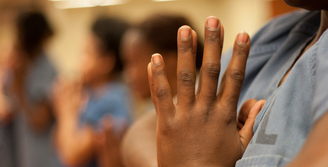 By maximizing funding opportunities, we hope to expand the program to reach women in multiple jurisdictions across Illinois, educate correctional officers on yoga-based approaches to stress reduction and deescalation, tailor yoga instruction to specialty populations (e.g. 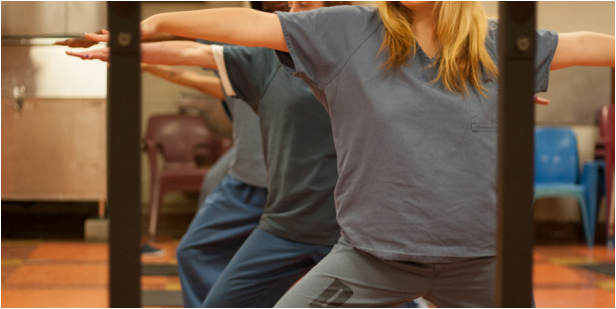 pregnant women), and develop yoga-based prevention programs for women at risk for incarceration or other negative outcomes (e.g. teen parents, parents of youth in the child welfare system). In this way, Yoga for Recovery will make yoga more widely available to underserved communities. To accomplish our immediate goals, Yoga for Recovery provides four weekly yoga classes in a single facility to groups of 15 women using two trained yoga teachers per class. To maximize the benefit of the program, teachers receive training in yoga instruction, basic mental health, and psychological first aid, as well as ongoing consultation with mental health professionals (on crisis response and the effects of trauma on coping) and senior yoga instructors (on specific approaches to addressing physical issues). Given the emphasis on preparation and ongoing support, yoga instructors are asked to commit to teaching a specified number of classes per year (no less than 12).